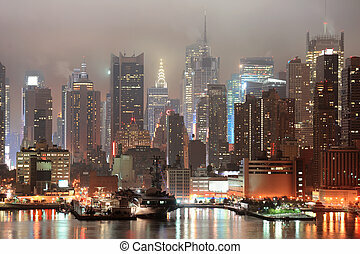 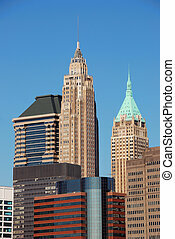 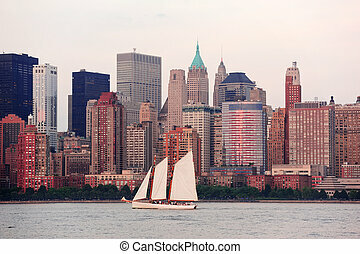 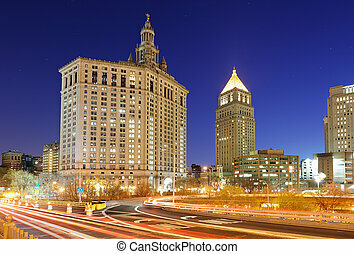 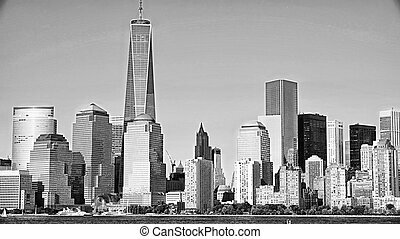 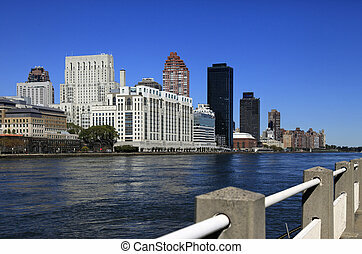 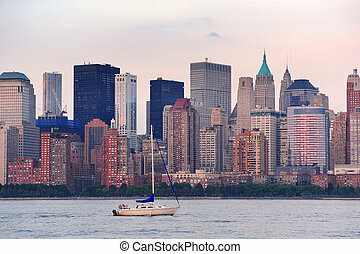 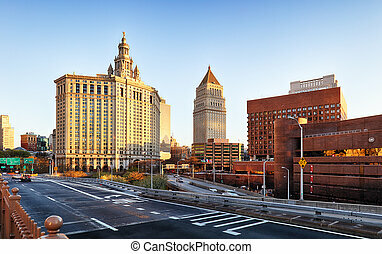 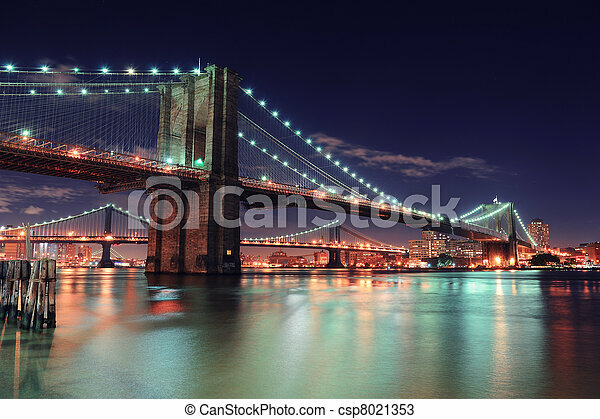 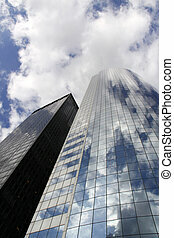 New York City - Manhattan buildings. 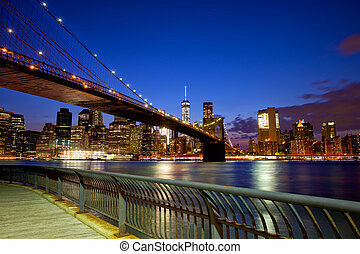 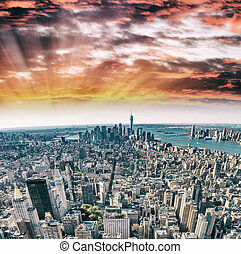 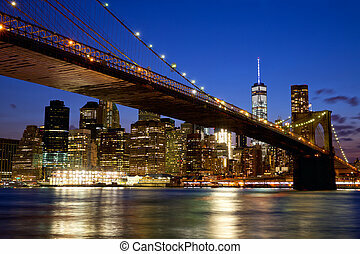 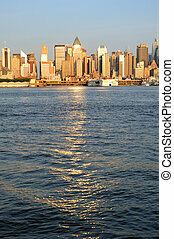 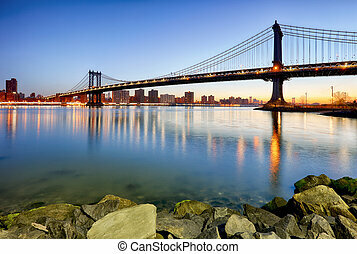 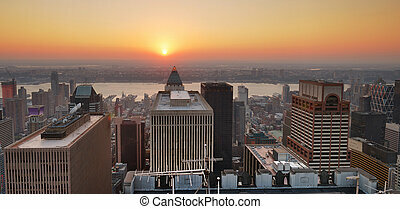 New York City Manhattan midtown skyline panorama at sunset. 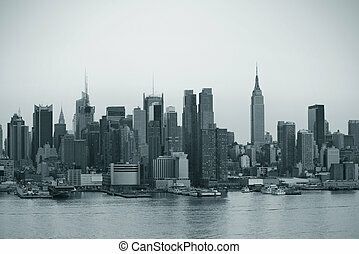 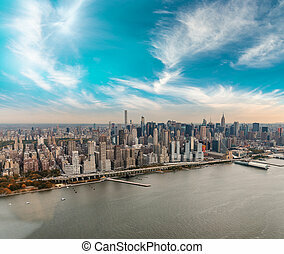 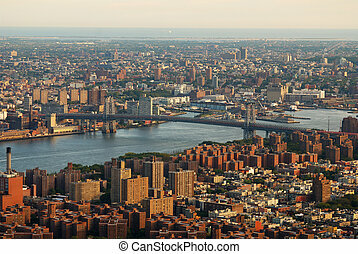 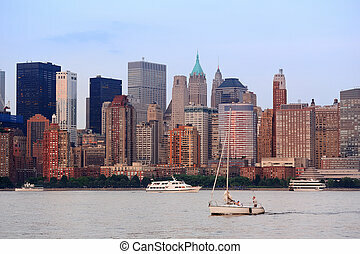 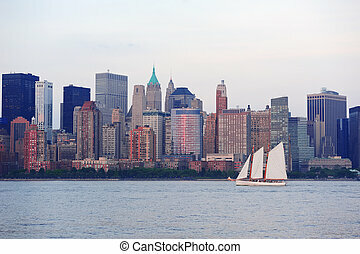 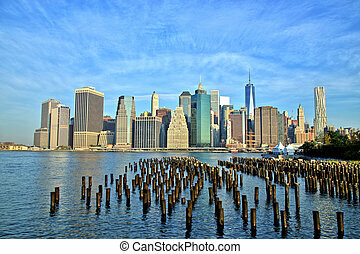 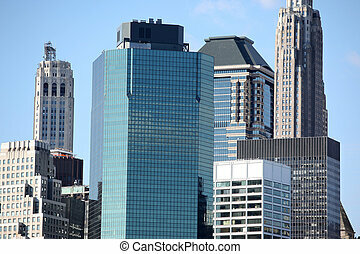 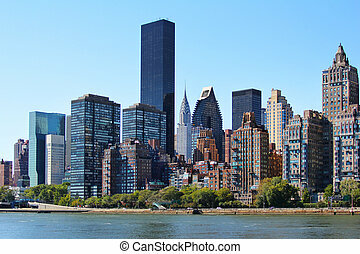 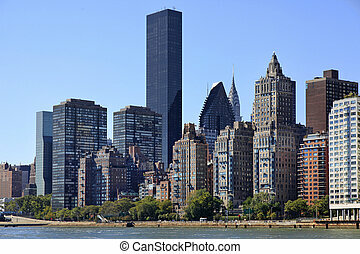 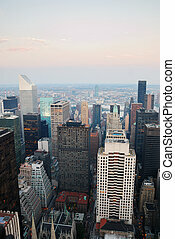 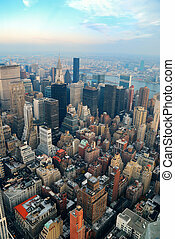 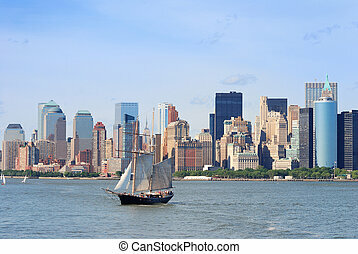 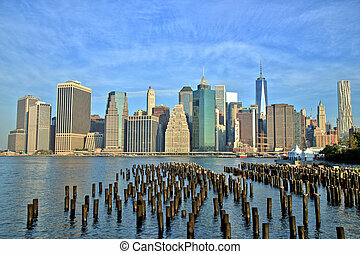 New York City Manhattan skyline aerial view with street and skyscrapers.